Born in Melbourne, Australia, on 6th July 1927, Freeman originally wanted to be an opera singer but, unfortunately, his voice was not strong enough. In 1952 he was invited to audition as a radio announcer and started working for the Australian 'teenager's station' 7LA . From there, he moved to station 3KZ in Melbourne and, in 1957 he took off on a 9 month world trip, promising to return by January 1958 but never quite made it back! He began his British career as a summer relief DJ on Radio Luxembourg, continuing to present late-evening programmes for the station until the early 70s. Alan moved to the BBC Light Programme in 1961 as presenter of 'Records Around Five' featuring his signature intro tune 'At The Sign Of The Swinging Cymbal'. Other BBC presenters gave him his nickname "Fluff" early in his career, because of his habit of turning up for his show in woolly jumpers. Alan is remembered not only as the 'original and best' disc jockey but also as the voice behind 'Brentford Nylons' and 'Omo' during the 1960s and 70's. His 'catchphrases' of 'Greetings, pop pickers', 'All right', 'Stay Bright' and 'Not 'Arf' have become, and are probably destined to remain, part of the British language. On Saturday September 23rd, 1961, he introduced his first 'Pick Of The Pops' as a segment of the weekend evening show 'Trad Tavern' on the BBC Light Programme. It became so popular that it was eventually given its own Sunday teatime spot in 1962, where he presented it for the next ten years, during which time he also became one of the original presenters of television's 'Top Of The Pops', appeared regularly as a member of David Jacobs 'Juke Box Jury' panel and was also 'guest DJ' on two episodes of 'Thank Your Lucky Stars'. During the Sixties he briefly, but unsuccessfully, toyed with an acting career, most notably in 'Dr. Terror's House of Horrors', and in subsequent films and television he has played himself. Possibly his most memorable appearances outside of the 'OMO' commercials was in 1984, playing God (naturally, sitting behind a mixing desk and blessing us with 'alright?') in two episodes of The Young Ones. In April 1972 Freeman became one of the daytime DJs on Radio 1 when he took over the 3pm to 5pm afternoon show from Terry Wogan, continuing until June 1st 1973. Throughout the 1970s he actively promoted and supported young people and youth clubs, becoming Vice-President of the London Association of Youth Clubs. During this period he also presented 'Quiz Kid', a Radio 1 Sunday evening series recorded at various youth clubs throughout the UK and, between 1973 and 1978, the iconic 'Rock Show' featuring progressive and heavy rock with a regular rundown of the current album chart. Alan briefly departed from the BBC in 1979 to work for Capital Radio until 1988, with revivals of both the 'Pick of the Pops' (renamed 'Pick of the Pops Take Two') and 'The Rock Show'. In 1987 he received the Radio Academy's 'Outstanding Contribution to UK Music Radio' award and was targeted by 'This Is Your Life's big red book on Wednesday October 14th 1987. In 1988 he was honoured as the Sony Awards' Radio Personality of the Year. He returned to the BBC and Radio 1 in January 1989, bringing with him the old faithful 'Rock Show' and 'Pick of the Pops'. This run of POTP finally ended on December 27th 1992, but he continued to host 'The Rock Show' until October 23rd 1993, when, along with a number of other long-time DJs, he departed the BBC again in 'The night of the long knives' when the station was revamped (and in many people's opinion, ruined) by controller Matthew Bannister. In December 1993 he presented a one-off trial of 'The Alternative Chart Show', a RSL broadcast by XFM in London. He then took the indestructible 'Pick of the Pops' (now 'Pick Of The Pops Take Three') to Capital Gold where it lived from April 9th 1994 until late 1996. During 1996 and 1997 Fluff also presented a version of 'The Rock Show' on Virgin Radio and could occasionally be heard hosting one-off programmes on Classic FM. Once again, in 1997, he returned to the BBC, this time on Radio 2, taking 'Pick of the Pops' back to its spiritual home until 2000. His final broadcasts allowed him to focus on his lifetime love, the world of classical music and opera, presenting 'Their Greatest Bits' on BBC Radio 2 between 1997 and 2001. 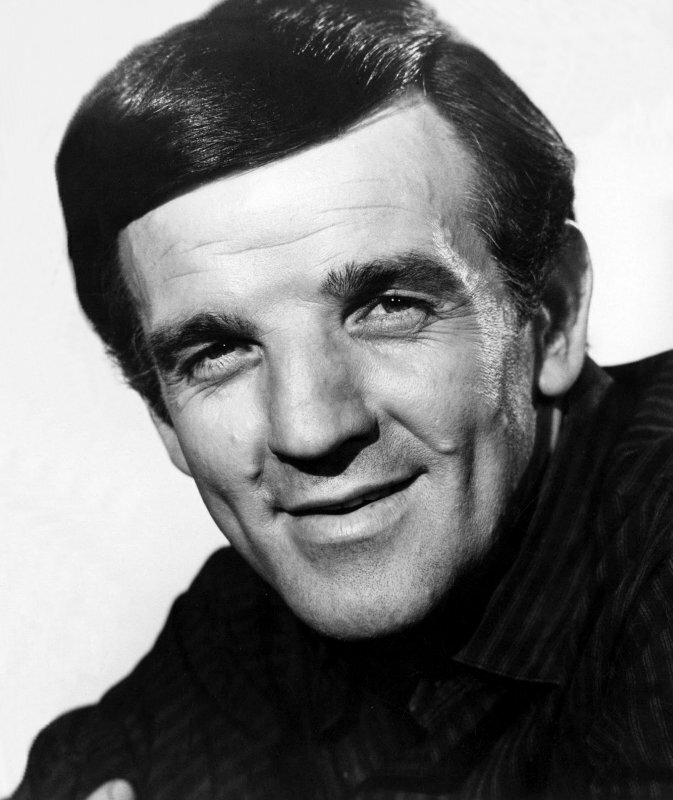 Alan Freeman was awarded the CBE in 1998 and in May 2000 was presented with a much-deserved 'Lifetime Achievement' award at the Sony Radio Academy Awards. During his later years, Alan suffered from severe arthritis and asthma from his 60 per day smoking habit, and he used a Zimmer Frame or motorised wheelchair to get around. Despite this, he said: "Even with this arthritis I still won't be beaten. I've got a chauffeur and I get driven into the studios" . . . "I use the Zimmer frame to get out of the car and when I get to the BBC or Unique I use it to get to the lift and then I do the nonsense and the carrying on and the 'not 'arfs'." . . . "What I think is that it's far better to go to work and have the pain than to sit at home, not work and still have the pain." But as arthritis eventually got the better of his hands he had to capitulate and handed his beloved 'Pick of the Pops' over to Dale Winton, an ex-Radio Trent disc jockey. Alan 'Fluff' Freeman lived at Brinsworth House, Twickenham, a retirement home for actors and performers run by the Entertainment Artistes Benevolent Fund where he passed away peacefully on 28th November 2006, aged 79. "His was the creation of the chart countdown, his was the stunning combination of rock music and classical music, and his was the creation of minimalism in the art of the DJ. We will not see his like again, and our debt in response to his contribution is without equal." "The words unique and iconic are overused but, in Alan Freeman's case, they are absolutely appropriate." "Fluff was the greatest out-and-out disc jockey of them all "
God bless mate - stay bright, alright?